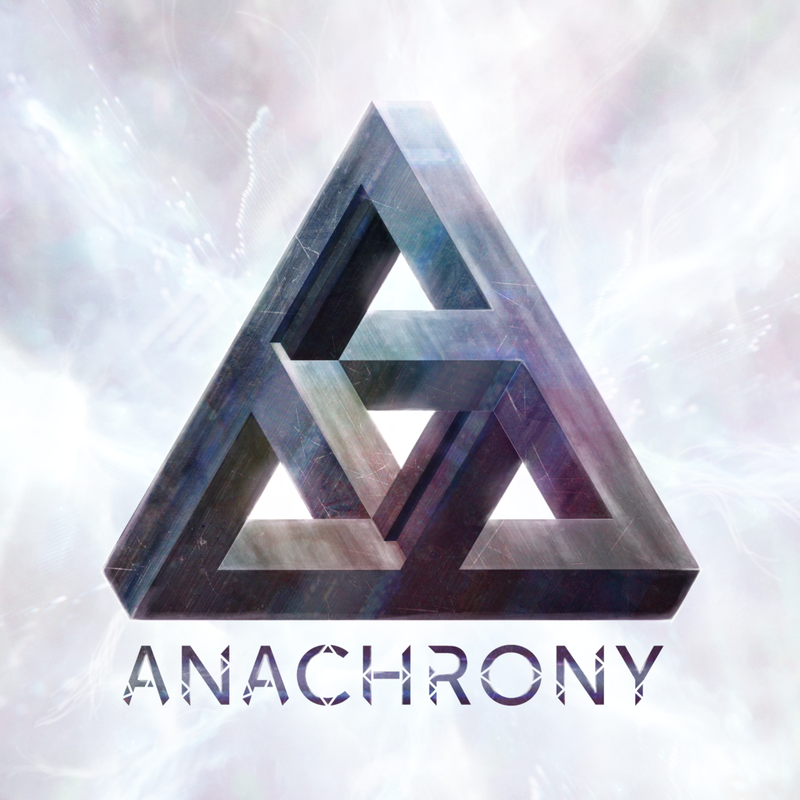 In Anachrony, you take control of one of the four factions or what the game call ideological paths: Harmony, Dominance, Progress, and Salvation. Your goal as leader is to prepare for an impending asteroid impact and secure the future for your followers while becoming the dominant ideology in charge of shaping the future of humanity. Anachrony is a worker placement game with a twist for 1-4 players that takes approximately 30 minutes per person. The game is played over the course of up to 7 rounds or “eras”. After the 4th round, the inevitable asteroid impact occurs which alters how the remaining eras play out. The majority of the gameplay in Anachrony revolves around one of three mechanisms: powering and utilizing Exosuits, taking actions with specialized workers, and traveling through time. At the start of each turn, players decide how many Exosuits they want to power. Prior to the impact, each player may power up to three Exosuits for free and each additional Exosuit (up to a maximum of 6) costs energy cores. Exosuits are used to protect your workers as they venture out to the capital. After deciding and paying for Exosuits, players take turns placing their workers. 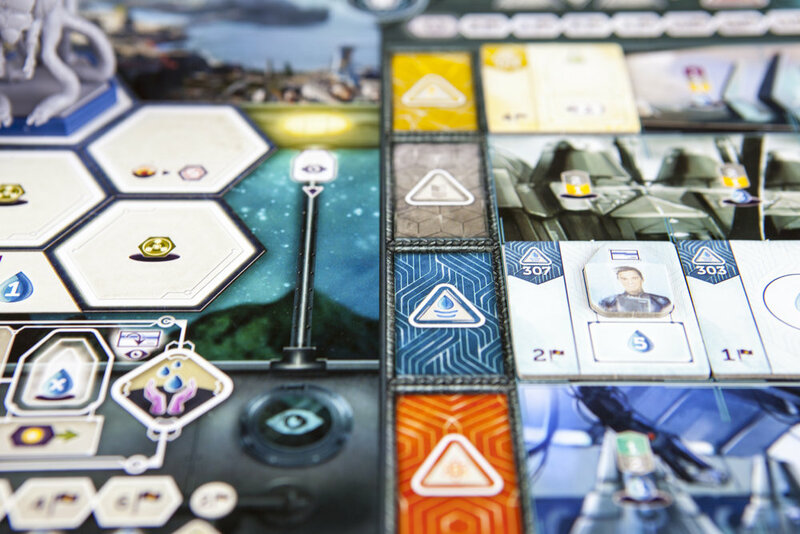 Each worker placed on the main game board must be in an exosuit while workers placed on the individual player board do not require a suit. The time travel aspect of Anachrony is what gives this game such a unique feel. Before the action round of each era, players have the option to send themselves resources from the future to boost progress. Be careful though as the more resources you borrow from the future, the more likely you are to create a paradox that will cost you resources and the life of a worker to remove. Like other worker placement games, the majority of Anachrony takes place in the action phase. During this phase, the players will use four different types of workers: Scientists, Engineers, Administrators, and Geniuses. Each worker has their own strengths and weaknesses. 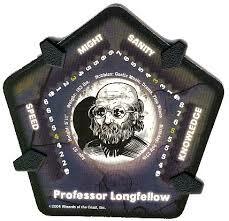 For example, a scientist is the only worker that can perform the research action but cannot take the recruit action. Generally, after a worker takes an action, they come back to your base exhausted and an action must be used to refresh them. Some exceptions to this do exist. If an engineer takes a mining action, on the subsequent turn he is immediately available to take another action. 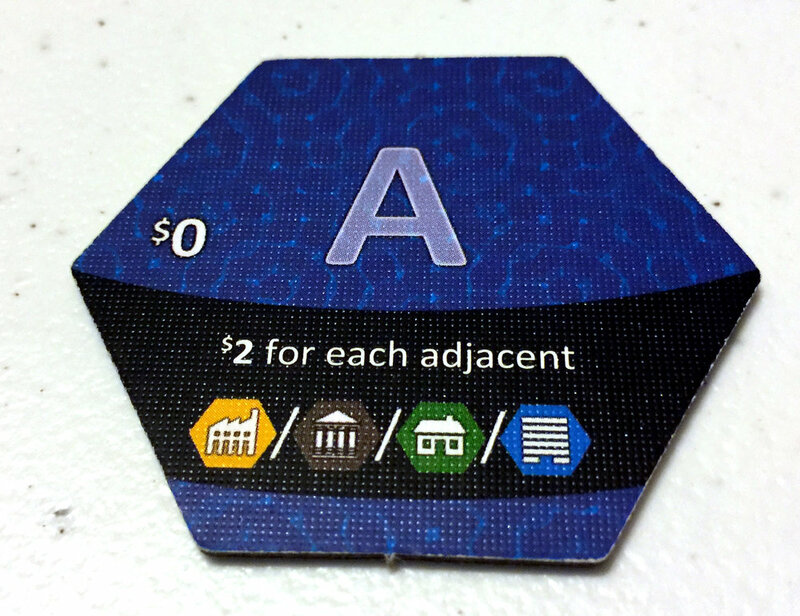 On the primary game board, each action has a limited number of uses and after the first use a resource cost must be paid to use that action. 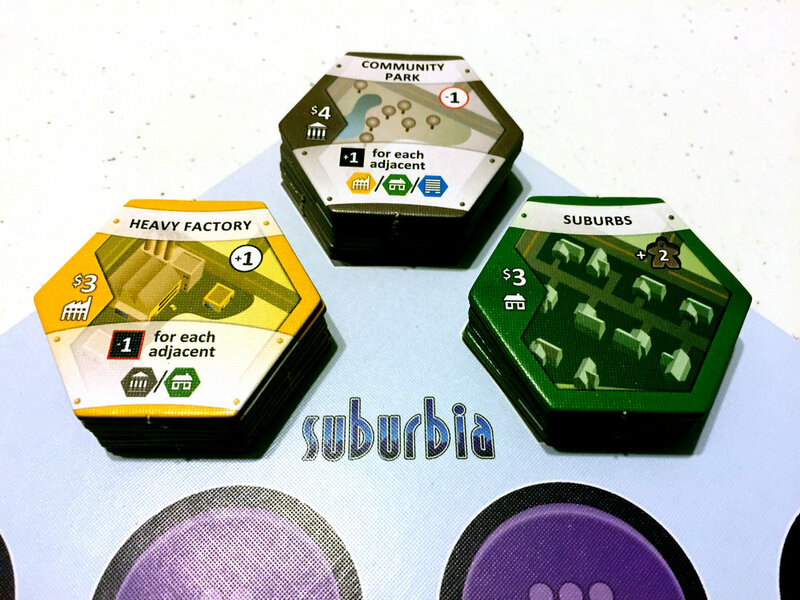 The limited actions that may be taken on the main game board are: construct, which allows the player to build one of the available four building types, recruit, where the player can add workers to their pool, the research action, which is used to develop special resources needed to build super projects, and mining, which is used to gather resources needed for building. Other actions that can be taken but do not have a limit are purifying water or trading with nomads. 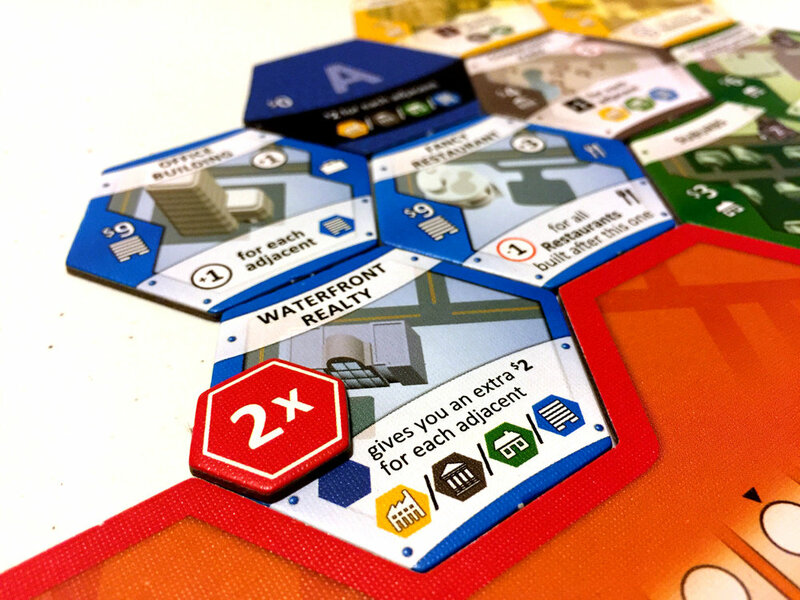 Actions taken on individual player boards are limited at the beginning of the game until buildings are built that give worker action spots. 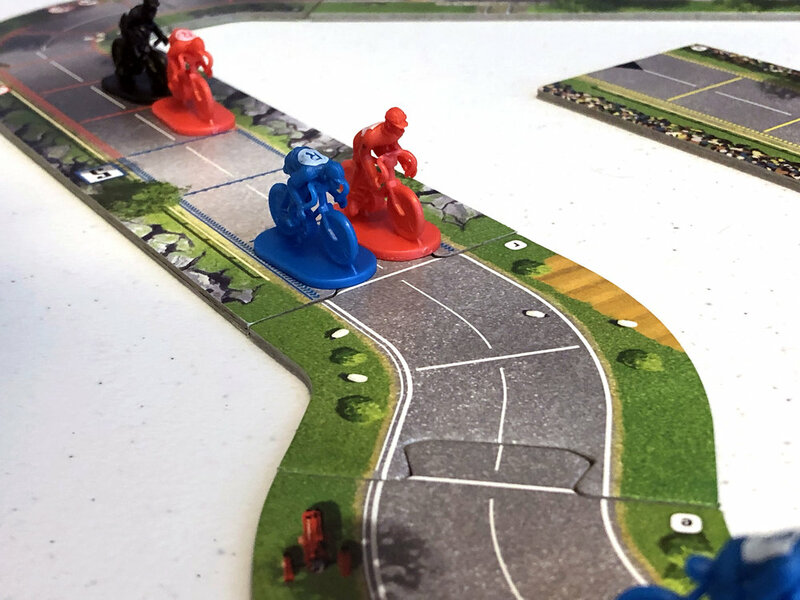 Until buildings are available, the only worker action on the player board is the force workers action which refreshes exhausted workers increases moral at the cost of water. This action can also be taken for free but reduces the moral of your faction. To trigger the end of the game before the end of round 7, each player must take an action to evacuate. After taking this action, the player immediately scores points based on their factions unique evacuation requirements and bonuses. The Path of Salvation faction needs to have built 3 power plants to score 3 victory points and then additional victory for each neutronium(purple) resource held at the time of evacuation. Evacuation is optional but can be the difference between winning and losing. Anachrony is an absolute blast! 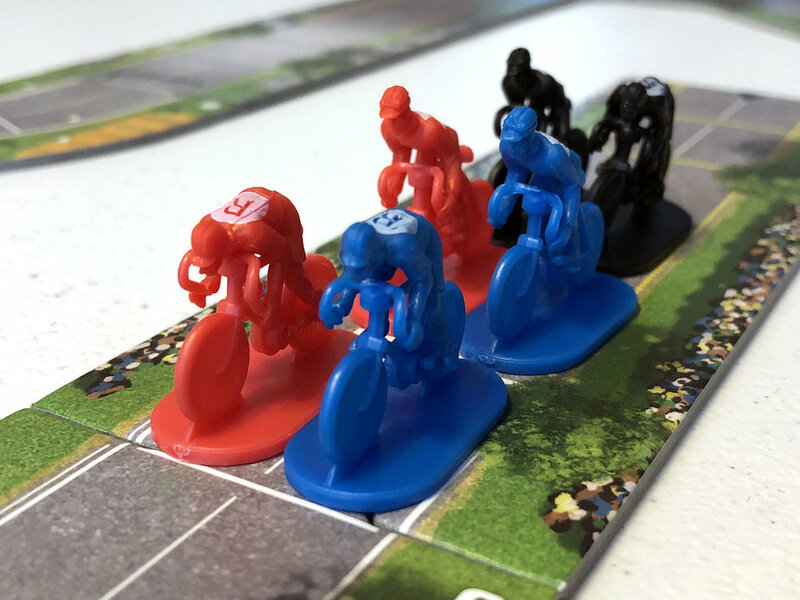 The twist on the classic worker placement is refreshing and exciting. The time travel aspect adds a level of strategy that I’m still getting used to but thoroughly enjoy. Deciding whether or not it is worth the risk of causing a paradox to borrow resources from future me is a great element. This is even more of a gamble if the alternate timeline is used. Something else I love about Anachrony are the multiple paths to victory. If there is a “best” way to win, my group has yet to find it. The games we have played so far have all been close. Like a 10 point difference between 1st and 4th close. Nobody has ever been completely out of a game we’ve played. One game came down to a single end game condition card! No single strategy feels overpowered and often the game comes down to who has built the best synergies. I have personally played several games of the solo mode in Anachrony. 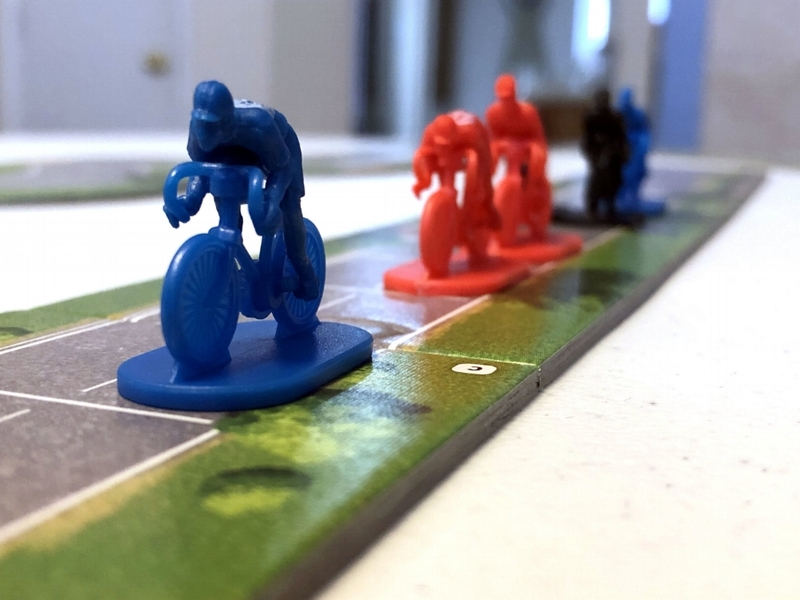 To preface, let me say that I do not consider myself a solo board gamer. I have tried playing solo on a few other games and I have yet to make it past a game or two. One of my favorite things about board games is the interaction with my family and friends and obviously this is removed from a solo game. I have played Anachrony against the “Chronobot” far more times than any other game and I plan to play again after I finish writing this. The Chronobot has his own set of rules and player board and the actions are determined by a dice roll which makes it almost impossible to manipulate the AI. I have about a 25% winning percentage against the AI but each time the game has been within 8 points. The biggest flaw with this game has nothing to do with the gameplay but the storage. I’m an insert elitist and the plastic bags just don’t satisfy my desire for keeping my games organized. I can fix this though and have already started 3d printing parts for an insert. Overall, Anachrony is an amazing game that I highly recommend. 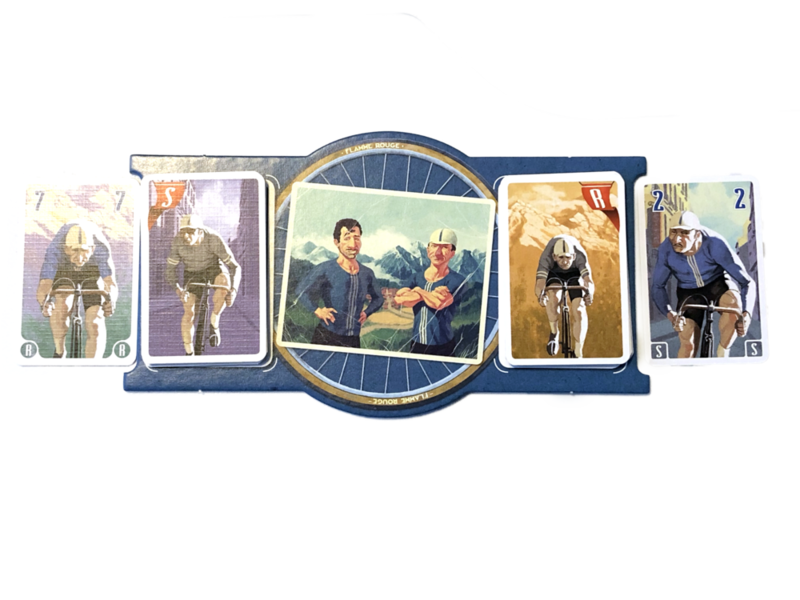 Betrayal at House on the Hill is a mystery themed tile placement game by Bruce Glassco. Betrayal is played both co-op and competitively in each game. You start the game as a team and in each turn uncover a room in the haunted house. At some point a haunt is triggered where one player betrays the group, and the game now becomes a competitive fight to the end. The end sequence of each game will differ depending on the theme of the haunt, but usually ends with the group killing the betrayer, or vise versa. Gameplay begins with 3 (or 4) landings designating a level of the invisible house. At the start of each player turn, the character may reveal an unexplored room in the house, or travel to already explored areas as needed. Each room has a unique design and effect on the characters. Some room tiles have lasting effects and some are resolved immediately. Rooms may give a character an item, initiate an event, or contain an omen. An omen usually involves an item that can be used later for the end of game sequence. The omen will also initiate a haunt roll performed by the unveiling player. The player must roll a certain die result or the haunt will be revealed. Once the haunt roll is failed, the instruction book will designate the betrayer depending on which room the event was initiated and which omen object was involved. The betrayer (the traitor) and the rest of the group (the heroes) will each have their own instruction book with end of game details corresponding to a unique theme and how to win their game. Usually the heroes will convene in a separate room to discuss strategy while keeping certain details secret from the traitor. There are certain details that will be kept secret from each party, and certain details that are known to both sides. There are many different elements to each scenario. Some may involve a chase, or casting spells and attacks, while some may include a scavenger hunt or persuasion tactics. The game will end when either the traitor or the surviving heroes accomplish their unique end of game criteria. So, just to preface this, I will divulge a little info about myself as a gamer. I feel relatively new to this gaming community and I’d like to say that my first advanced gaming experience was just about a year ago. Before then, I had always been a retro video gamer and party board game kind of girl. I’m not sure exactly what my first strategy board game was, but I know one of the first was Mansions of Madness. I was sooo into the heavy mystery theme and creepy character saturation. I’d volunteer to read all the dialog and even offer to read multiple character voices. After playing Betrayal for the first time, I realized that there was much more opportunity for this kind of behavior. So, easily put, Betrayal lets me act dramatic and silly while completing a fun objective and/or competing with my friends. But the primary reason why I really like this game so much is that it’s never the same board or the same game twice. There are 12 characters to choose from, each with a variation of physical and mental traits (speed, strength, sanity, etc) that are used in game play. Although I tend to stick to the same character each game, this doesn’t always end up being the best strategy for each haunt scenario. Betrayal has an expansion that adds rooms, another floor to the house, more game cards, and more haunt scenarios. There are about 100 different haunt scenarios total, which makes repetition scarce. It even offers the option to change the scenario if you have already played the one revealed. Exploring the house is great because the layout of each game depends on where you choose to explore, which orientation you place the room tile, and the randomness of the room tile deck. Some rooms give you action options or change your trait levels. Some rooms may even change the already existing layout or your character position. The haunt/betrayal is a lot of fun and is very exciting, but can also be clumsy at the same time. I find that many times there is ambiguity of the rules for either the traitor or the heroes, or even both. This can lead to confusion and possible misplay, as well as elongated game play. And sometimes the sides may be forced to let in on some secret details in order to understand what is a legal or intended move. Although I always wish there are more details in the scenario instruction book, I also understand the need for some mystery regarding the opposing side. The game recommends at least 3 players, most likely in order to have at least 2 heroes and a traitor. Although there is no way to solo play, my husband and I routinely play with just the two of us. We each start with 2 characters, and once the betrayer is revealed, the opposite player will take on the other’s hero. So the end of game haunt scenario is played with one of us controlling the traitor and the other controlling 3 heroes. Overall, super fun game! 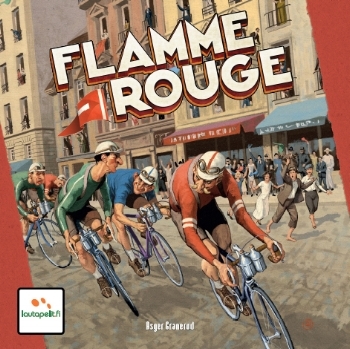 Easily a game for beginner or young players, although I’d recommend they not be the traitor first time around. 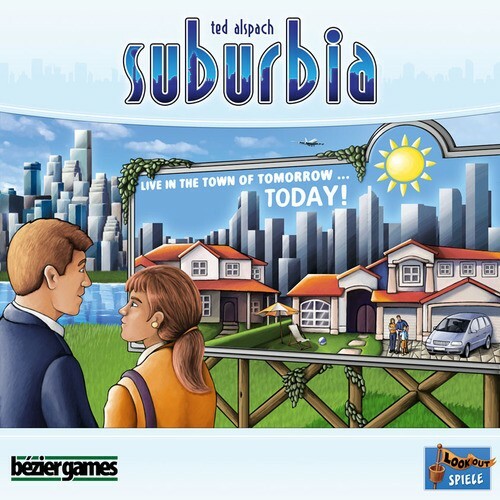 I’ve played this game with many advanced gamers, and all seem to highly enjoy.